As I mentioned in the previous post, there is a positive side to apologetics that strengthens and supports the believer. By having questions answered and reasons presented, the Christian is personally benefited as their commitment to Christ deepens. 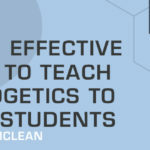 But in addition to supporting one’s faith with solid reasons and evidences, apologetics can go one step further by helping our students to know God at a deeper level. One example of this happening might be seen in the all-too-common experience of counseling with a student who is relatively young in the faith. 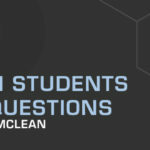 Things start off well—enthusiasm and affections are high—but it isn’t too long before the emotions fade and the student begins to look for something more substantial to uphold his faith. And while there is certainly more at work in the hearts of those who go through these moments, the fact remains that too many of our students run the Christian life on yesterday’s feelings. While feelings are vitally important, we know that there needs to be more to our faith as well. After all, the apostle Paul states in his letter to the Romans for Christians “to present your bodies as a living sacrifice, holy and pleasing to God; this is your spiritual worship. Do not be conformed to this age, but be transformed by the renewing of your mind, so that you may discern what is the good, pleasing, and perfect will of God” (Rom. 12:1-2). Thus, if apologetics can be used in the process of renewing our minds, then it is directly tied to the benefits that follow—knowing God and His will. Over thirty years ago, a schoolteacher named Jane Elliot conducted an experiment. She told her students that those with brown eyes were smarter than those with blue eyes, and she began giving preferential treatment to brown-eyed students. Not only that, but she also put collars on the blue-eyed students to symbolize their inferiority. The results of her experiment showed that the blue-eyed students were affected academically when they had the collars on. In other words, they acted in ways that aligned with the identity that had been pronounced over them. Ideas, and the worldviews in which they come from, have consequences. They not only shape and inform the way we think about things, but they also impact the choices and decisions we make on a daily basis. And because of this simple reality, the fact of the matter is that you are in competition with the surrounding cultural ideas for the shaping of your students’ worldview. Your students won’t naturally adopt a Christian worldview unless, as the apostle Paul states, intentionality is given to 1) not conforming to the culture, but instead 2) seeking to be transformed by the renewing of one’s mind. Of course, achieving success in those areas is not an overnight process. It will take lots of time, and lots of spiritual disciplines will be involved—including apologetics. Apologetics not only offers us the ability to know the reasons behind our beliefs, but also helps us think about the best possible means of communicating those reasons to others. Because of this, it comes as no surprise that some of the most effective advocates for the Christian worldview were also apologists. Individuals like C.S. Lewis, G.K. Chesterton, and many others were not only great thinkers in the field of apologetics, but were also brilliant in the way they allowed apologetics to influence their evangelistic efforts. They recognized that while apologetics is a science—in terms of looking at the evidence and reasons that support Christian claims—it is also an art form as well, especially when it comes to communicating those reasons to others in a gracious and winsome fashion. Whatever method of delivery they chose—stories, analogies, logical arguments, etc.—they were mindful to match it to the audience they were speaking to. 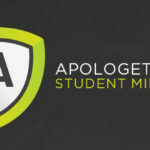 Thus, if we want our students to have evangelistic conversations that bear fruit, to set them up for success as they share their Christian commitments with others, then we should take seriously the role apologetics can have in equipping them to that end.